Starting next month, Chuck Christian, VP and CIO of St. Francis Hospital, will begin his term as CHIME’s 2015 Board of Trustees Chair. He succeeds Randy McCleese, whose term will end on December 31. Christian is a Certified Healthcare CIO, Fellow and charter member of CHIME, and served on the CHIME Board from 2003 through 2004 before being elected to another term in 2012. 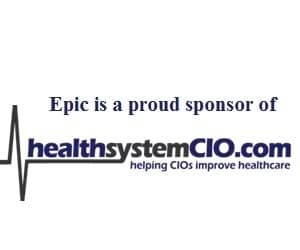 Since 1992, he has served on numerous working groups and committees within the organization and is currently a member of the CHIME Healthcare CIO Boot Camp faculty. He is also actively involved in both the CHIME Policy Steering Committee and Policy Leadership Council. Christian brings over 40 years of experience in healthcare, including 26 as a CIO. Before joining St. Francis in January 2013, he was CIO at Good Samaritan Hospital in Indiana for more than two decades. Prior to that, Christian worked in healthcare IT for Compucare and Baxter Travenol, in both management and implementation roles. In 2010, he was the recipient of the CHIME/HIMSS John E. Gall Jr., CIO of the Year Award as well as the CHIME Collaboration Award for co-authoring “Make IT Known — Marketing Strategies and Case Studies in the Healthcare Environment.” Christian was recently honored by the Indiana Chapter of HIMSS with an award in his name. As Board Chair, Christian’s areas of focus will include shaping federal health IT policies, cybersecurity education, and extending support to a larger set of the healthcare IT C-suite.